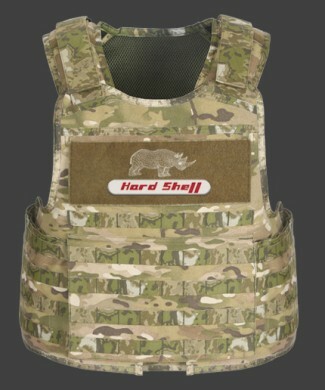 The Guardian offers the most protection in our Advanced armor range. 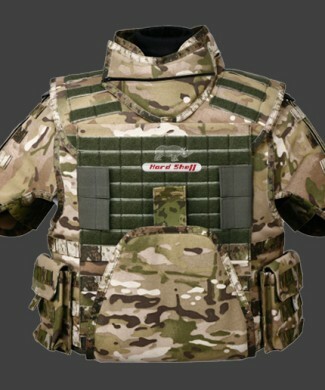 Based on a standard tactical vest, the Guardian has additional throat, collar, shoulder and bicep and groin protection. 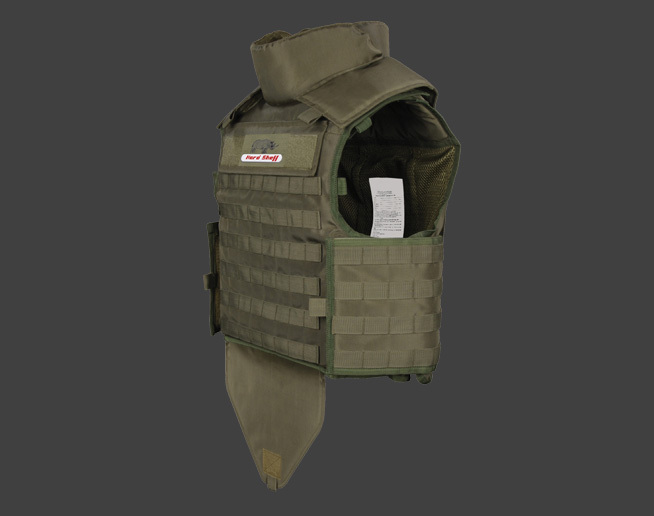 All of these additional components are removable if the mission dictates, allowing the user to use the Guardian as a standard tactical vest. 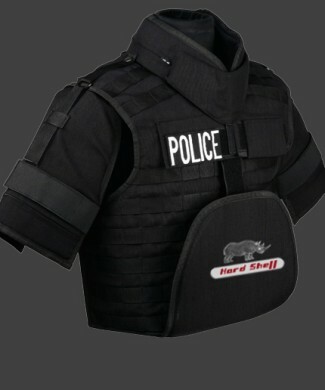 The Guardian is an ideal vest in high threat areas or doing internal security, such as riot control. 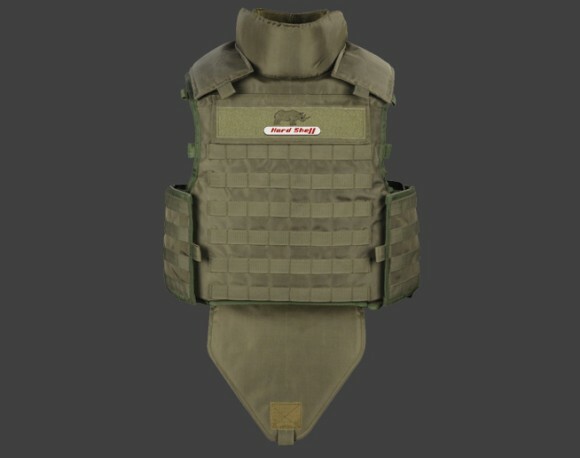 Additional removable Kevlar® protection around the shoulders, throat and groin areas. Ideal for Internal Security use or high threat areas. Custom cut NIJ 0101.06 Level IIIA DuPont® Kevlar® Soft armor. Allowance for 10” by 12” Hard armor Panels of Level III, Level III+ & Level IV. (fitted in HAP Pockets). Allowance for Kevlar® Material(SAP) inserts to be used with ICW (is Conjunction With) Hard armor Plates. MOLLE / PALS Load attachments. Comfort Padding Front / Back and Shoulders. Available in PU Coated Hardwearing Nylon Fabric, Cordura and Cotton Fabric in range of Colors. 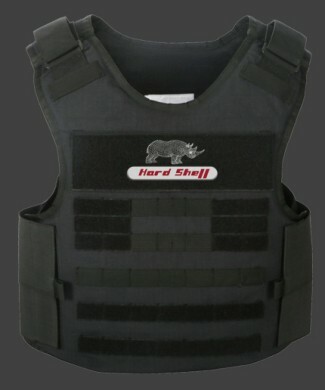 Can be upgraded to NIJ LEVEL III, III+, IV, depending upon the Hard Armor Panel used.